This policy, in its entirety, applies to all regular, non-exempt employees. Some elements of this policy also apply to exempt staff. This policy, and its related procedures, is intended to 1) enable non-exempt staff throughout the university to participate as volunteers at university events, 2) ensure that all such voluntary participation is administered in compliance with applicable federal and state laws, and 3) provide employees and supervisors with consistent parameters for such voluntary participation. 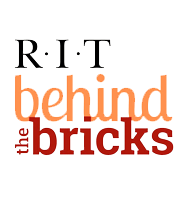 RIT values, encourages, and supports staff members who choose to become involved in campus life beyond their job responsibilities. One way to become involved is by volunteering at various university-level campus events. In compliance with the Fair Labor Standards Act (FLSA), all non-exempt employees who perform duties at university events are compensated for their time. Employees will not be denied the opportunity to volunteer at such events based on the fact that the home department does not have adequate budget funding for the wages earned during the event. The term, Regular Employees is defined in Section II.A of RIT Policy E1.0, Employee Classification and Status. The term, Non-Exempt Employees is defined in Section I of RIT Policy E1.0, Employee Classification and Status. Voluntary Participants are employees who freely offer their time to a university event in roles outside the scope of their normal job functions and hours and for which no RIT entity has mandated participation. Note: "voluntary participants" may or may not fulfill the legal definition of "volunteer." University Events are defined as community-wide events (e.g., commencement) as determined by the president in consultation with event organizers. request non-exempt employee voluntary participants (and other exempt employee volunteers) through a "call for volunteers,"
maintain a list of voluntary participants providing service at the university event. Normally, non-exempt employee voluntary participation may not interfere with employees' regular duties, or occur during employees' regular employment hours. Voluntary participants (exempt and non-exempt) must have supervisor approval before volunteering for a university event that occurs during their normal hours of work. Non-exempt employee voluntary participants are compensated for time worked at university events and record the hours for duties performed on their regular time cards. All wages paid to non-exempt volunteers are charged to employees' normal home department's salary/wage object code. In most cases, departments will be able to accommodate these additional wages within their existing salary budgets. If, however, the wages paid for volunteering cause a department to exceed its budget, the Budget Office will provide funding to close the gap at fiscal-year-end up to the amount of the wages paid to the non-exempt employee volunteers. Department heads who need to request budget relief should complete and submit the "Non-Exempt Volunteer Budget Relief Form" which can be found on the Budget Office forms page. Because budget relief for this purpose should only be requested when a department expects to exceed its annual budget, the form should be submitted after June 1. NTID department heads who need to request budget relief should contact the NTID Office of Financial Planning and Budgeting for guidance. A pre-existing and different version of this policy was posted on the HR website under HR procedures. The original version of the policy, as stated above, was approved April 21, 2010 by Institute Council.